It's so fun setting big goals. Join me on Wednesday, 12/6/17, for a goal setting workshop that will put you ahead of the game in 2018. Learn the skills you need to make your best laid plans happen. Are you a person who, despite your most sincere and passionate intentions, has a hard time staying focused and getting things done? Do you often get to the end of the day and feel like you didn't accomplish anything even though you were 'busy' the whole day? Are you tired of running in circles and not making progress with your goals? Yes? Then come to this workshop - you will be so glad you did. How to increase daily competency & satisfaction so you can experience greater ease and less unnecessary effort. 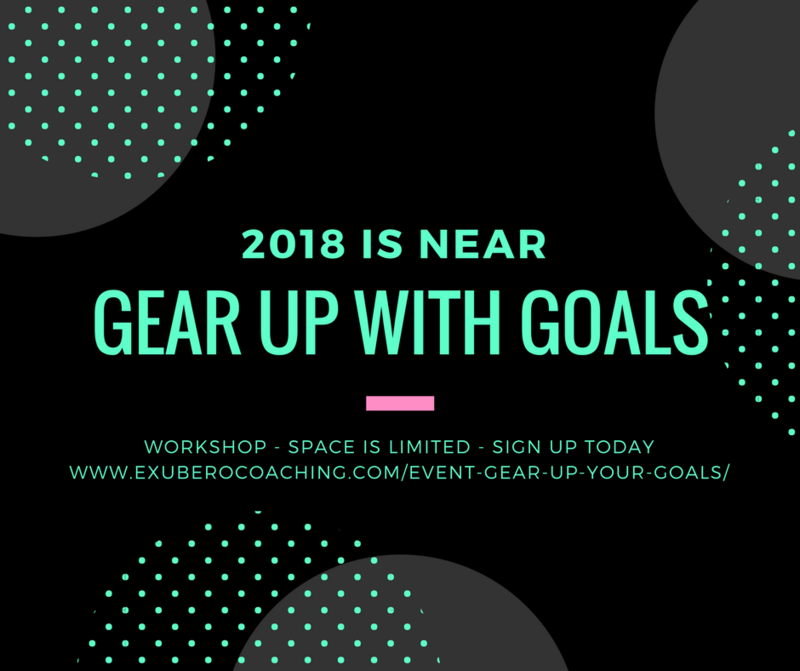 If you want 2018 to be your best year yet - full of clarity, focus, self-efficacy, concrete success and forward progress, then sign up for this sweet workshop today.